Just Means reports 386 Honda hybrid vehicles damaged beyond repair in the March 2011 earthquake and tsunami in Japan prompted the vehicle manufacturer to institute a new process at Japan Metals & Chemicals (JMC) of extracting oxides containing rare earth metals from used nickel-metal hydride batteries. The new process makes it possible to extract more than 80% of the rare earth metals which include neodymium, cerium, lanthanum and praseodymium at 99% purity, similar to mined rare earths. 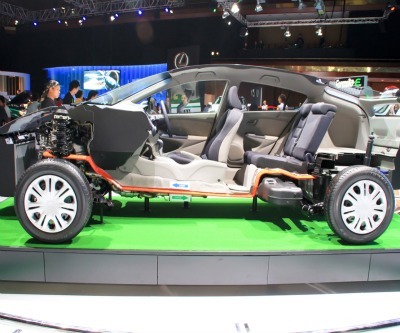 Starting early March, the extracted rare earth metals are being supplied from JMC to a battery manufacturer, which will reuse them as negative-electrode materials for nickel-metal hydride batteries for hybrid vehicles. This first batch came from the vehicles rendered useless by the earthquake. The plans go further. As soon as a sufficient volume is secured, Honda said it will begin applying the same process and recycle rare earth metals extracted from used nickel-metal hydride batteries collected by Honda dealers through battery replacement. After a slow start hybrid and all-electric vehicles sales rose rapidly around the globe last year and is set to reach 3.8 million units annually by the end of the decade. Lithium-ion batteries used by among others Ford in the US also cut the need for rare earths dramatically. With more than 95% production centred in China, Japan's high tech industry has been working hard to decrease its reliance on rare earths used in a variety of industries including green technology, defence systems and consumer electronics. China's monopoly position – only now being challenged by miners Molycorp in the US and Australia's Lynas – has not stopped the sharp declines in the value of the 17 elements. While mid-2012 prices looked as if it will begin to stabilize, values continue to soften and most REEs are down more than 80% since hitting a peak in 2011.